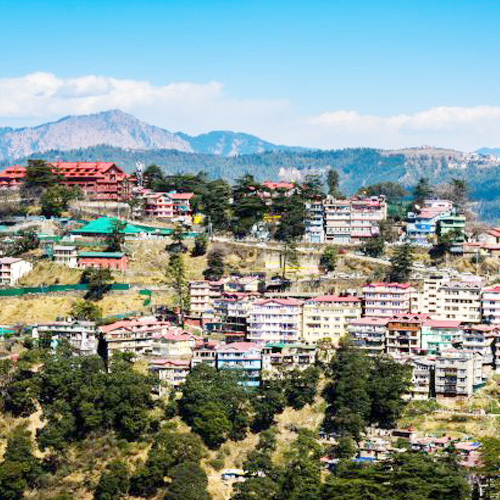 The town of Kullu, positioned in the charming Kullu valley in the state of Himachal Pradesh and nestled amid lower Himalayas, is primarily famous for its breathtaking natural beauty, sprawling spans of lush valleys and mountains. Kullu was once known as “Kulanthpitha” meaning end of the habitable world. Beyond rose the forbidding heights of the Greater Himalayas, and by the banks of the shining river Beas, lay the fabled ‘Silver Valley’. Kullu got its first motorable access only after Independence. The long centuries of seclusion has however allowed the area to retain a considerable measure of its traditional charm. 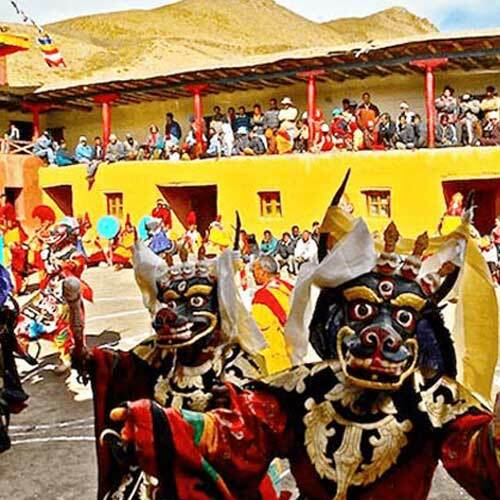 It is also renowned for its apple orchards, temples, and the yearly Dussehra festival. All of these draw thousands of tourists from various parts of the country. The festival of Dussehra: This festival alludes to the triumph of good over evil, is observed all over India in the month of October or November. But Dussehra in Kullu valley is out of the ordinary. It commences when Dussehra festivities in other parts of India are over. 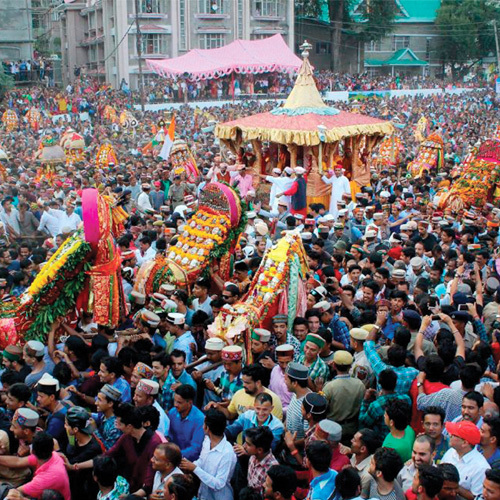 The key event of this festival is carrying Lord Raghunath’s (local version of Lord Ram) idol on a palanquin through the streets in procession by pilgrims. 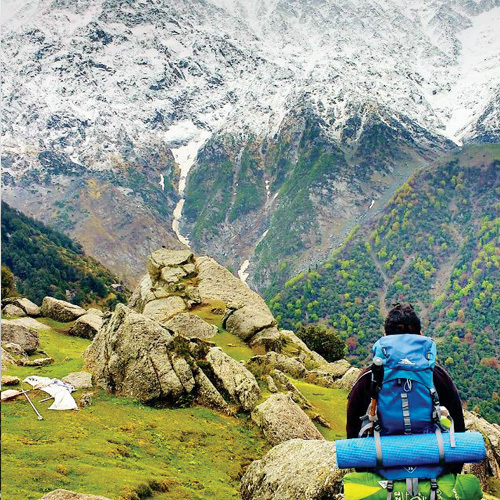 Kullu draws the adventure-loving tourist by offering trekking and hiking trails in and around the valley. River Beas is also used for white-water rafting. 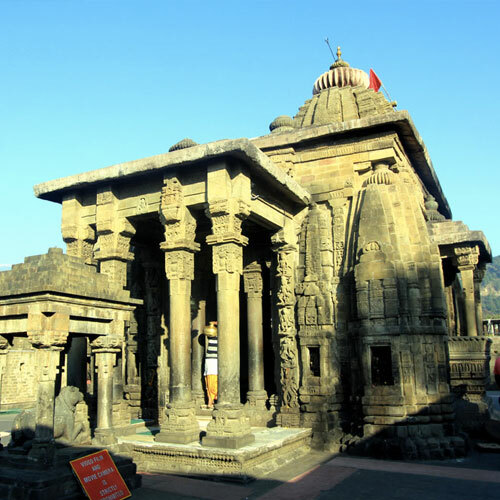 Raghunath Temple: The chief tourist interest of Kullu is the Raghunath Temple that worships Lord Ram, who is believed as one of the most important deities in the Hindu mythology and is the patron deity amongst the residents of Kullu valley. It was erected in the year 1660 by Raja Jagat Singh, the one-time ruler of Kullu, basically to make amends for his sins. He got an idol of Lord Ram from Ayodhya and founded it in this temple. KASOL: Situated on the bank of Paravati River, Kasol makes a good holiday destination. 42 km from Kullu, charmingly located on an open space which slopes down to the broad expanse of clear white sand at the Parvati river. The place is well known for trout fishing. 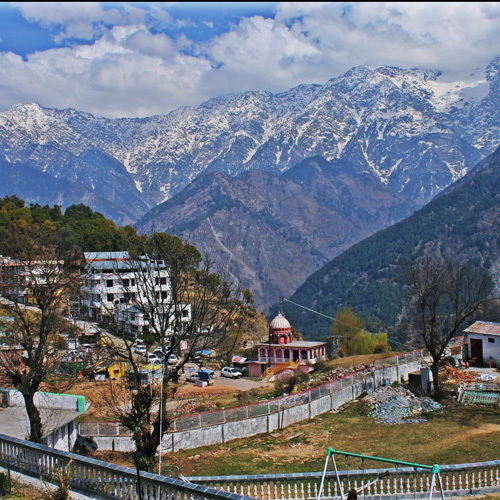 MANIKARAN (1700 m): Manikaran, 45 km from Kullu and just 3 km from Kasol, is famous for its hot springs. Thousands of people take a holy dip in hot waters here. The water is so hot that dal, rice & vegetables etc. can be cooked in it. 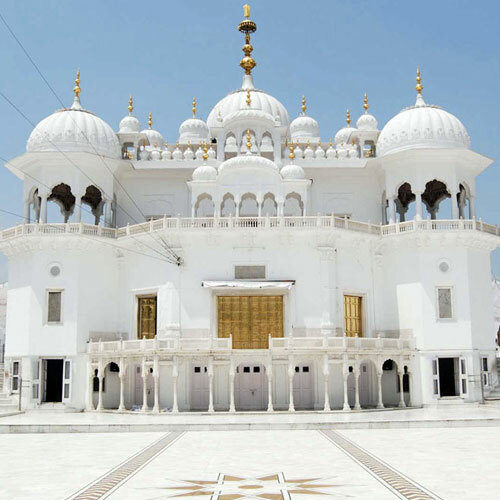 It is a well known pilgrimage place for both Hindus & Sikhs. Ramchandra and Shivaji temples besides a Gurudwara are located there. BIJLI MAHADEV TEMPLE: 10km from Kullu across the Beas River, Bijli Mahadev temple is one of the striking temples in the temples strewn district. The Bijli Mahadev Temple is placed on a spur at an elevation of 2460 meters. As the name suggests, the temple is frequently struck by lightning (bijli). It can be reached by a tough but rewarding climb of 8 km trek. From the temple a panoramic view of Kullu & Paravati valleys can be seen. A 60 feet high staff of Bijli Mahadev temple glistens like a silver needle in the sun. In this temple of lightening, it is said, the tall staff attracts the divine blessings in the form of lightening. MALANA VILLAGE: Little ahead of the beautiful Chanderkhani Pass lies the village Malana which is famous for the temple of Jamlu and its distinct, social and cultural life. Malana is considered to be the oldest democracy in the world. It is worth to visit this village to study the style and social system prevalent there. BANJAR: Banjar lies at a distance of approx 58 kilometers to the south of Kullu region. The region is placed at an altitude of 1524 meters above sea level. Banjar is chiefly popular among the people who love to engage in fishing and angling. The waters of the River Tirthan, which flows in the region, provides an excellent opportunity for the tourists to engage in trout fishing. The crystal clear water of the river and the greenery around also attracts tourists who visit the region. The region also falls on the trekking route that traverses from Shimla, Narkanda, Luhari, Anni, Khanag, Soja and Banjar. Manali: Situated in the central parts of the northern state of Himachal Pradesh, Manali is at the head of the Kullu valley, 260 km north of the state capital Shimla and 40 kms from Kullu. Manali is perched at an altitude of approx 1930 meters above sea level and is spread along the banks of the river Beas. The town is situated near the end of the valley on the National Highway leading to cold deserts of Leh. In winters, the temperature can drop below freezing point when heavy woolens are required. Summer temperatures are mild and light woolens/cottons are recommended. In Manali, one can find high mountains shrouded by silent snows and deep boulder strewn gorges. There are thick forests, filled with cool breezes and bird song. There are fields of wild flowers, small picturesque hamlets and fruit-laden orchards, especially apples. Manali has a pre-historic legend behind its name. Vaivasvata, the seventh incarnation of Manu, the first creation according to Hindu mythology, found a tiny fish in his bathing water. The fish told him to look after it with devotion, for one day it would do him a great service. The seventh Manu cared for the fish until it grew so huge that he released it into the sea. Before departing, the fish warned Manu of an impending deluge when the entire world would be submerged and bade him to build a seaworthy ark. When the flood came, Matsya (fish), an avatar of Lord Vishnu, towed Vaivasvata and the Seven Sages to safety. As the waters subsided, the seventh Manu’s ark came to rest on a hillside and the place was named Manali after him. Its cool atmosphere provides a perfect haven for the ones afflicted by the hot Indian summers. 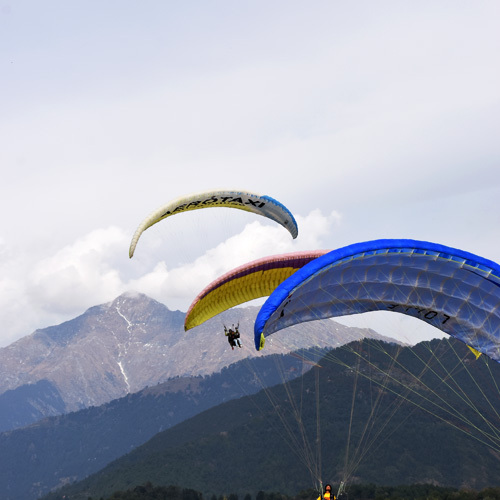 Besides offering quite a few places for sightseeing, Manali is also famous for adventure sports like skiing, hiking, mountaineering, paragliding, rafting, trekking, kayaking, and mountain biking. In brief, Manali-the veritable “valley of the Gods”-is an ideal place for the ones in search of both adventure and comfort. ROHTANG PASS: Rohtang pass is 51km from Manali on highway to Leh. This is a major tourist attraction in Manali. From here you can get a spectacular view of the mountains and the glaciers. The pass is open from June to October each year although trekkers can cross it earlier. The Rohtang Pass is the highest point on the Manali – Keylong Road. It is also one of the most beautiful spots in the vicinity. Located at an altitude of 3990 meters above sea level, the spot promises an exquisite view of the surrounding mountain ranges. There are great trekking opportunities around the Rohtang Pass near Manali. It is a gateway to Lahaul Spiti, Pangi and Leh valley just as Zojila pass is a gatway to Ladakh. KOTHI: Situated on the road to Rohtang pass, a picturesque spot, Kothi is 12 km from Manali. A PWD rest house is situated on a ridge overlooking a narrow valley with a very good view of mountains and valleys. Large number of movies have been pictured at this place and is the ideal resting resorts of poets, writers and the lovers of peaceful environs. RAHALA WATER FALLS: Gushing down from an altitude of 2,501 meters, the Rahala Waterfalls is a product of melting glaciers. The scenic uniqueness of this natural waterfall has made it one of the primary tourist spots in the whole of Manali. The area around the Rahala Waterfalls is absolutely marvelous and the location also allows a picture perfect view of the surrounding areas. The pleasant view twined with the sound of the gushing water makes Rahala Waterfalls an ideal picnic spot. SOLANG VALLEY: At an altitude of about 8500 feet above the sea level one can enjoy the bliss of nature on the banks of the river Beas. Solang valley offers the view of glaciers and snow capped mountains and peaks. It has fine ski slopes. Located here is a hut and guest house of the Mountaineering and Allied sports Institute, Manali. The winter skiing festival is organized here. Training in skiing is imparted at this place. The serene atmosphere created by the vastness of the azure sky, the ravishing beauty of the green valleys and the snow lining on the distant peaks can make one feel the pleasure of being in a heaven abode. 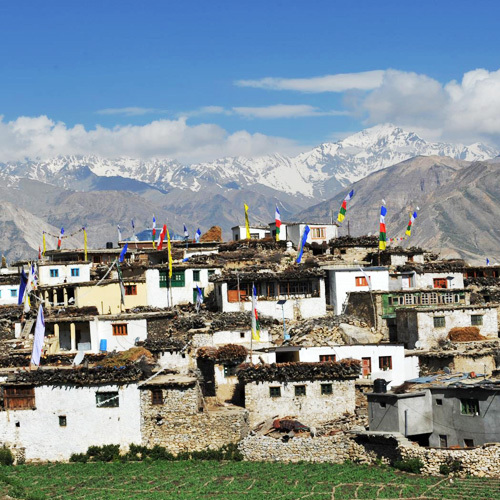 VASHIST VILLAGE: Vashist is located at a distance of about 6 km away from the Manali town located on the left bank of river Beas towards Rohtang pass . It is renowned for its hot springs and temples. Nearby is the pyramidal stone temple dedicated to Sagr Vashist. There is another Temple of Lord Ram here. The temperature in the hot water springs vary between 110 degree Fahrenheit and 123 degree Fahrenheit. Natural hot sulphur springs with two separate bathing tanks for gents and ladies are always full of tourists. Turkish style showers fitted baths have also been built nearby. Hot water from the nearby spring is provided for bathing. Thousands of people take a holy dip in the water, which is known to cure skin diseases. HADIMBA TEMPLE: One of the primary Manali tourist attractions is the Hadimba Temple constructed in the 16th century. Surrounded by the wooded deodar forests, the temple attracts a large number of tourists who frequently visit the pilgrim spot in Manali. The presiding deity of the Hadimba Temple or the Dhoongri Temple is the Goddess Hadimba who is the wife of the strongest of the Pandava brothers, Bhim. The rock in which the giantess meditated is placed within the confinements of the temple. The rock is known as the Dhoonger in the local language from which the temple derives its name. The unique architecture of the temple incorporates the styling of the Pagoda or the Buddhist place of worship with wood carvings. The Hadimba Temple was constructed in the year 1553 by Raja Bahadur Singh. Placed amidst the wooded trees, the temple is one of the most frequented spots in Manali. 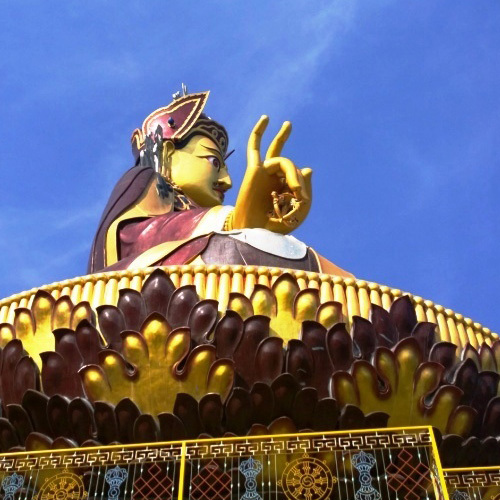 TIBETAN MONASTERIES: The Gadhan Thekchoking Gompa ,constructed in the year 1969, is situated near the Mall in Manali. 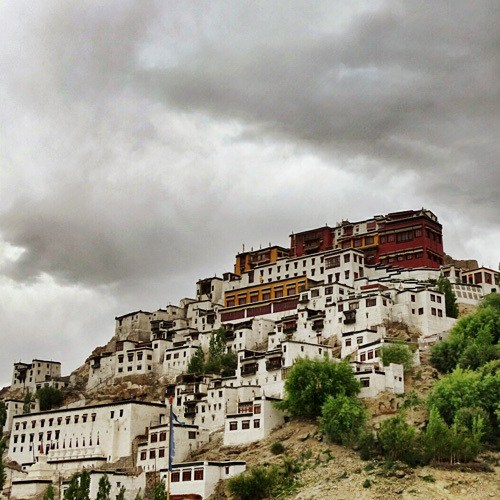 The architecture of the monastery represents the Tibetan style of architecture designed with hued frescoes. The statue of the Lord Buddha presides in the monastery. The Himalayan Nyingamapa Gompa is situated near the market place in Manali. The architecture of this monastery replicates a more modern style than the earlier one. Placed in the midst of sunflowers, the monastery glows at night with light bulbs lit to lighten it up. The huge gold faced statue of Lord Buddha presides over the monastery. MANU TEMPLE: 3 km from the main bazaar in old Manali lies the temple of Manu Rishi. It is believed that this is the only temple of Manu in India. According to Hindu mythology, Manu sage is the divine creator of the human race in the world. It was in this region that the sage dwelt and meditated. The region of Manali grew by the Manalsu River that flows into the River Beas and was named after the sage who resided in this region. CLUB HOUSE: 2 km from the town, the Club House has indoor games facilities which have been located on the left bank of Manalsu Nallah. There are some picnic spots near it. JAGATSUKH: There are a number of interesting and picturesque locations in and around Manali and the village of Jagatsukha is one among them. 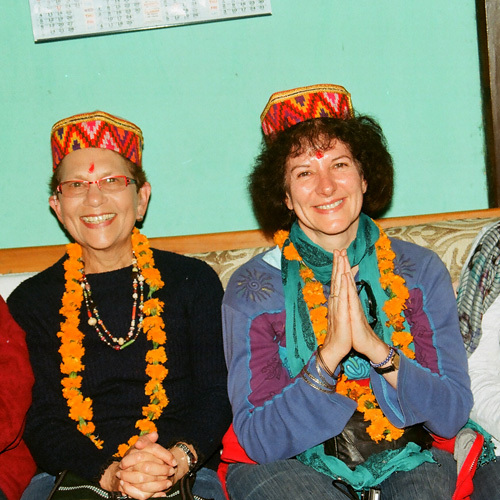 Jagatsukha, like Manali, besides being a perfect honeymoon destination it is also a Hindu pilgrimage site. The heavenly character of the Indian Himalayas is an integral part of the Hindu religion and the village of Jagatsukha in Himachal Pradesh is no exception. Jagatsukha was the former capital of Manali and is presently one of the biggest villages in Kullu district. But its main claim to fame is due to the presence of the Gaurishankar Temple, built in the ‘Shikhara’ style dedicated to the Hindu Lord Shiva. The journey towards the village of Jagatsukha is a memorable one. With the Manali Valley down below and the mighty mountains of Deo Tibba in the East, the path towards Jagatsukha indicates at the paradise that the destination is. NAGGAR: On the left bank of the Beas, Naggar is delightfully situated on a wooded slope and commands an extensive view. It was the capital of erstwhile Kullu state for about 1400 years. There are large number of famous temples notably Vishnu, Tripura Sundari & Lord Krishana. Cars and jeeps easily go upto the Naggar castle. Roerich art gallery which houses the paintings of Nicholas Roerich as well as his sculptures is less than a km from the Castle. Naggar is also a base for undertaking treks to Chanderkhani Pass and to remote valley of Malana. TSI have tried to showcase and promote the destinations of Himachal Pradesh be it hidden or frequently travelled.